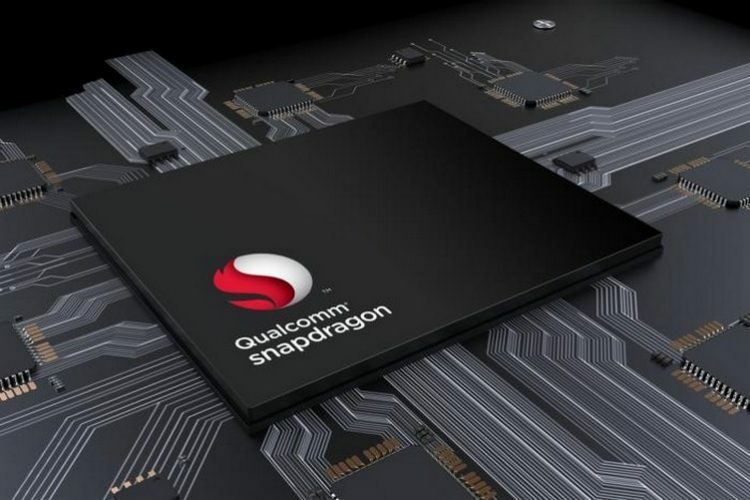 Qualcomm’s next flagship chipset, the Snapdragon 8150, was recently spotted on two benchmarking platforms and posted some impressively high scores that were comparable to the performance of Apple’s beastly A12 Bionic. The upcoming chipset has now been spotted again, this time on an AI benchmarking platform which put it against MediaTek’s upcoming Helio P80, the Kirin 980 as well as the Snapdragon 845. The Snapdragon 8150-powered device which ran the AI benchmark was a development platform and it comfortably beat its MediaTek and Kirin rivals by posting a significantly higher score. As for the AI benchmark itself, it puts the SoC through nine different tests which include Object Recognition and Classification, Facial Recognition, Image Deblurring and Photo Enhancement among others. Talking about the scores, the Snapdragon 8150 scored 22,082 points while MediaTek’s unannounced Helio P80 emerged as the runner-up with 19,453 points on the charts. As for the Kirin 980 chipset powering Huawei’s latest Mate 20 series flagships, its AI benchmark score of 12,026 points was even lower than the Snapdragon 845 tested on the OnePlus 6. Another interesting thing to note here is that the Snapdragon 8150’s AI benchmark score is nearly twice that of the Snapdragon 845, which suggests that Qualcomm’s next flagship chipset will bring significant improvements in AI processing. It is also interesting to note that the OnePlus 6’s points tally was away ahead of devices like the Pixel 3 XL, Xiaomi Mi 8 and the Asus Zenfone 5Z despite packing the same chipset. The AI benchmark scores are indicative of the fact that the Snapdragon 8150 will be a venerable performer when it comes to AI-related tasks, and so will be MediaTek’s Helio P80 SoC. 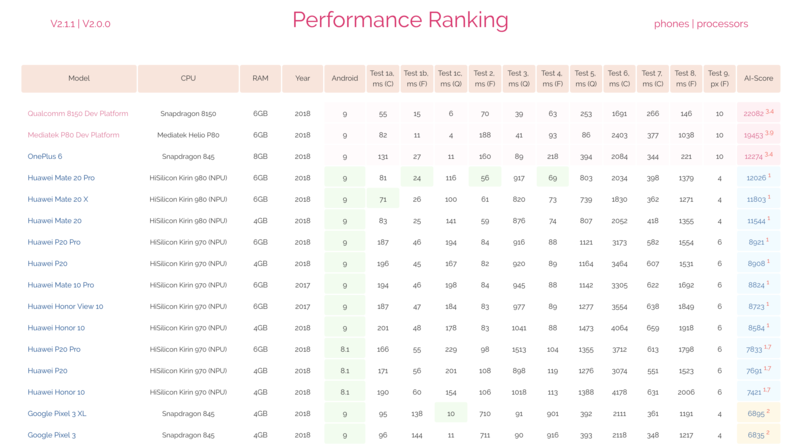 But do keep in mind that both the chipsets ran the AI benchmark test on a development platform device, which means the scores are not indicative of their day-to-day performance on an actual smartphone.